Home / John Erdmann, Terra Tec Landscapes, Inc.
John Erdmann, Terra Tec Landscapes, Inc.
"I have worked with DJ's Lawn Sprinklers for over 12 years now. My projects have always received top notch serivce and products as well as great customer service and follow up. I would recommend Eric and his company to anyone who values a quality system at a fair and competitive price." 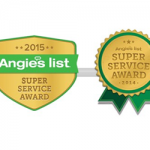 Celebrating our 30th year in business with yet another Angie’s List Super Service Award. 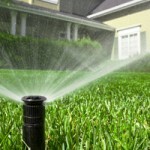 "When we built our home a few years ago, we hired DJ's Lawn Sprinkler and are so happy we did. We have received nothing but prompt, courteous and reliable service and advice as our landscaping has matured. 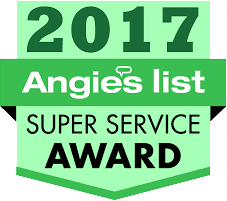 We would definitely recommend DJ's over many other companies in the area." "I do appreciate your effort with a complex system at the Oconomowoc Lake home. You have been very attentive and timely in addressing ongoing care of the sprinkler system there and have offered insight to additional irrigation solutions as the gardens grew!" I've been using DJ's Lawn for over 10 years, think that says it all, they are GREAT! Trust me you wont be disappointed. I’ve been using DJ’s Lawn for over 10 years, think that says it all, they are GREAT! Trust me you wont be disappointed. Eric delivered exactly what we signed up for. The team installed our irrigation system and the water has made our new lawn look like sod. They programmed the timer for several different applications to adjust to the temperatures though out the season by just moving a dial. If you want to have a great looking lawn, Eric and his team can make it happen!